With an Ebola outbreak once again making headlines, Western Shelter is on standby and ready to provide the solutions needed to combat infectious disease in the field. 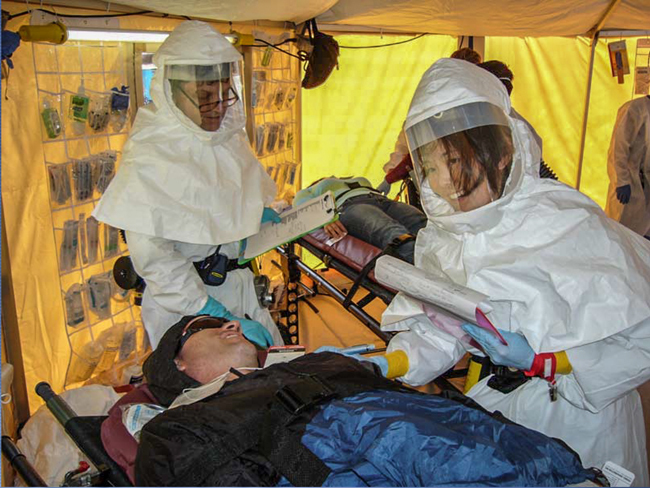 One of the very first priorities when responding to a spreading infectious disease is establishing proper isolation and quarantine quarters. We have the capability to offer multiple options when it comes to infectious diseases isolation. Whether it's a seasonal influenza or an Ebola outbreak, an off-site facility may be the safest way to protect a hospital's infrastructure. 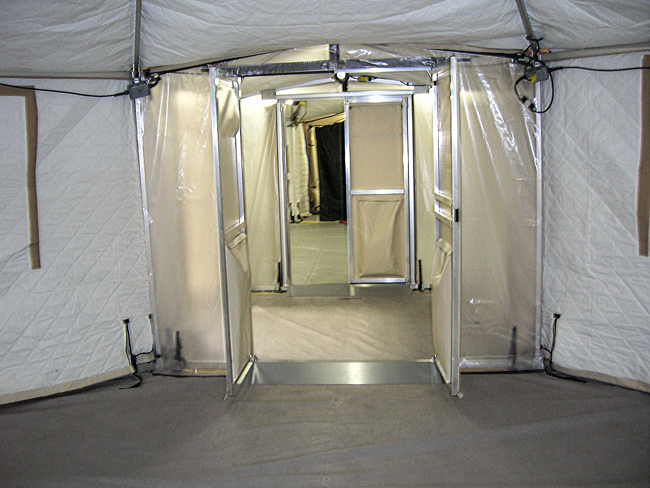 Western Shelter quarantine/isolation stations are portable, easy to erect, and easy to manage. We design the interiors of these facilities to closely resemble a brick and mortar hospital in order to reduce stress on patients and staff. 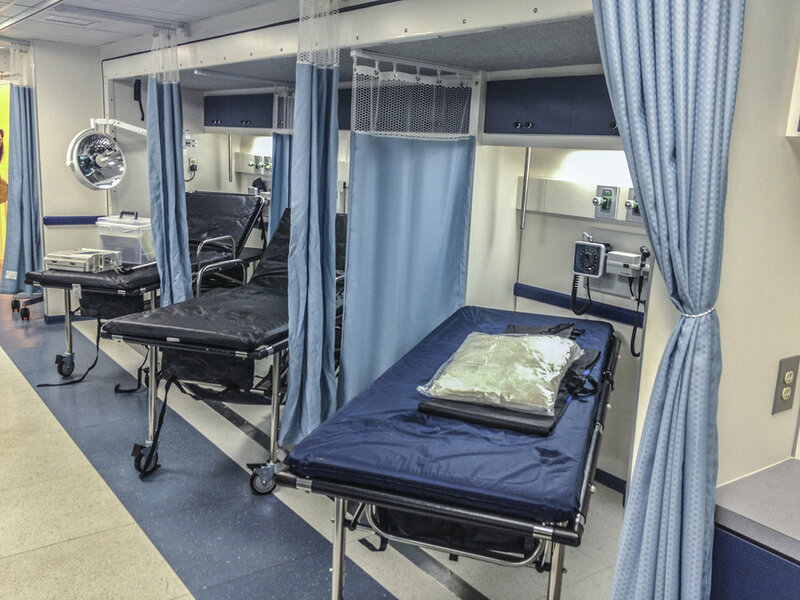 With areas for donning and doffing, separate staff and patient entries, full hygienic services and other important features, our isolation shelters are intended to have everything needed to respond quickly and efficiently to an infectious disease outbreak. We offer both containerized and soft deployable quarantine pods, along with the ability to create custom solutions. Containerized quarantine pods are an ideal choice for tough environments, and require minimal site preparation. These pods offer a high level of security along with a host of other benefits. • Ridged walls suited well for tough environments. Soft deployable quarantine pods can be quickly deployed and moved around in environments where the mission is constantly evolving. Quarantine trailers have the added benefit of near-instantaneous portability. Simply fill out the form below and one of our sales representatives will get back to you with a quote and more information about our quarantine pods.